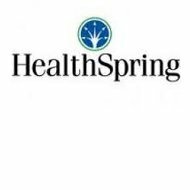 A review of Bravo Inc Health Insurance Company leads to Bravo Health which a subsidiary of HealthSpring. Bravo provides health insurance exclusively for Medicare recipients who are in need of supplemental insurance. They also provide clinics in Philadelphia and Baltimore exclusively for their policyholders. Medicare used to be enough to cover the healthcare needs of individuals 65 and older. However, due to the change in our health care system and the increased cost of medical treatment coupled with individuals living longer through medication and innovative technologies, supplemental insurance is a must for those on Medicare. Bravo Health Insurance has an innovative approach to handling the overall health care needs of the clients they insure. Before writing policies for individuals and couples, Bravo analyzes the financial and health needs of its potential clients to provide the best supplemental insurance available. These health care providers give high-quality preventative care to Bravo clients exclusively. They are not interested in the quantity of clients, but the quality of care they receive. This is why Bravo Health provides its physicians with technological resources and extra nurses. This frees up physicians to be able to spend more one on one time with patients. Bravo knows that good, solid preventative care can save money in the long run. By employing doctors and nurses directly, the providers then have a staked interest in the company and in the patients. Physicians who see only Bravo Health Insurance policyholders can make sure that all benefits are being used in the right way to get the most out of Medicare and the supplemental coverage from Bravo Health. They in turn have job security. Each Bravo Health Insurance plan is customized to the particular state that the policyholder lives in. Though Medicare is a federally regulated program, each state has different laws that govern how Medicare benefits are used in each state. This is why Bravo Health has to customize its plans according to state requirements before they consider individual needs. All Bravo health plans include coverage for doctor visits, screenings for cancer and other age related diseases, preventive care, hospital visits, and prescription drugs. The main focus of Bravo, as stated before, is preventative care. Because of this, they offer a large amount of the coverage benefit to preventative care visits and age appropriate screenings for things like breast cancer, prostate cancer, colon cancer, and other diseases. There are also a variety of field positions available for agents and other insurance adjustors. The professional jobs are where insurance agents and physicians are considered. These positions are the backbone of the company so individuals must be highly trained, educated, and screened before a job can be offered. Bravo Health’s human resources department prides itself and hiring only the best individuals for these and all positions. Problem getting medical bills paid, Slow response to complaints. Make calls to bravo with seemingly no results. No Confidence in Bravo at all. My elderly relative (almost 90) was talked into Bravo last summer by an agent. They are not paying her bills, and she is on a fixed income of $500/month. She is in jeopardy of losing her house. She cannot pay a $450 lab bill or $1,500 from a recent hospital stay. We don’t know where to turn. We can’t even afford an attorney. Bravo doesn’t return her calls. She was told to get her lab tests by Bravo at Wilmington, DE Hospital. She had a witness to the phone call. Now Bravo says she should have gone to one of their labs. HELP!! I was talked into getting Bravo, and ever since I did I have been fighting with them about my multiple sclerosis medication that I need. I have not been on my medication in over a week, and was told by one of the reps to try another medication. Well for one that person is not a Doctor, and how dare they tell me that! Now every day that I am not on my medication I could fall back into a relapse, but it’s ok. It’s not their health that’s being affected. This is the worst insurance company I have dealt with, and from a lot of reviews I see I’m not the only one. I am attempting to take care of my 90-year-old mother who somehow ended up with Bravo Advantage insurance. Upon being released from the medical home health care was ordered. I had to hire nurses to care for my mother because Bravo was nowhere to be found. You can literately die waiting for the service that you have paid for. AVOID THIS OPERATION AT ALL COSTS!